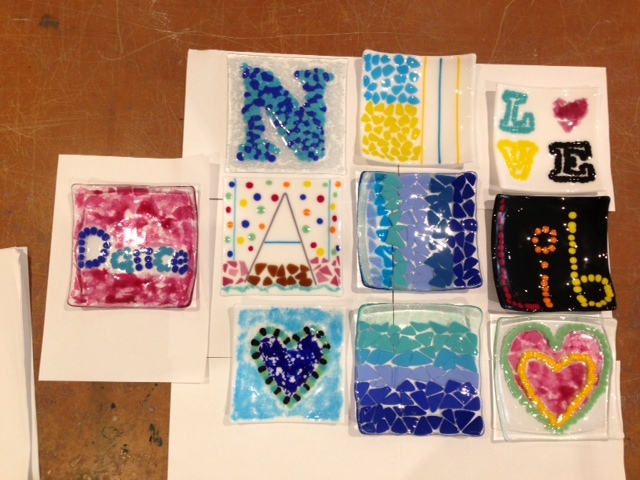 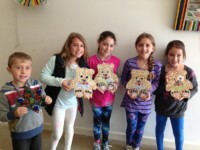 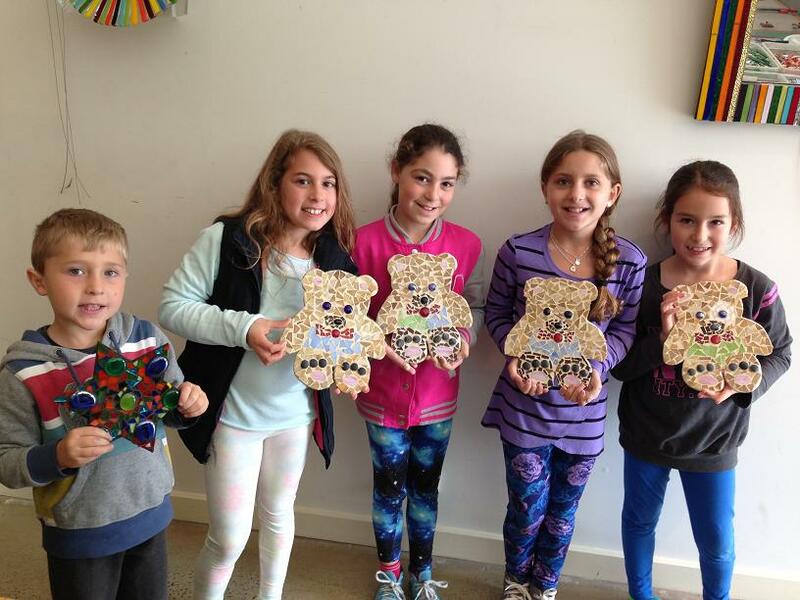 Get ready for some fun mosaics over the Term 1 School Holidays here at Merryl’s Mosaics and Glass Studio! 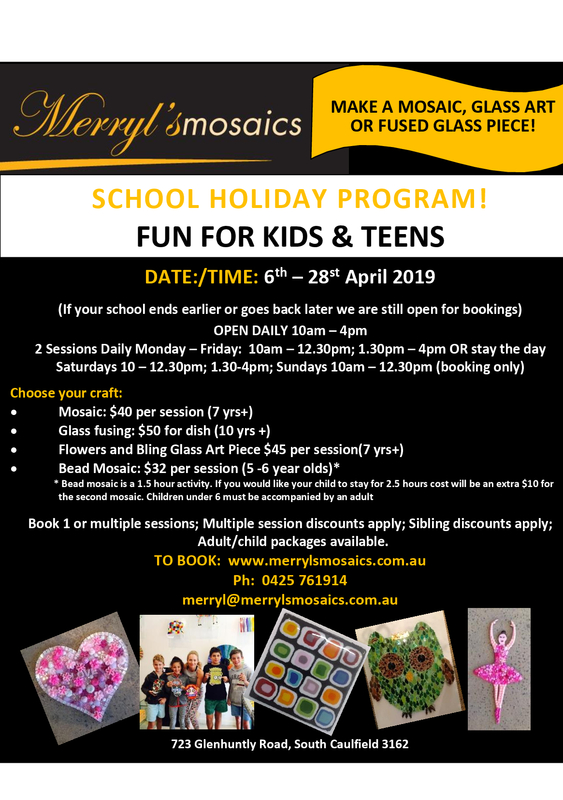 From the 6th – 28th April 2019 we will be running our exciting Kids School Holiday Program. 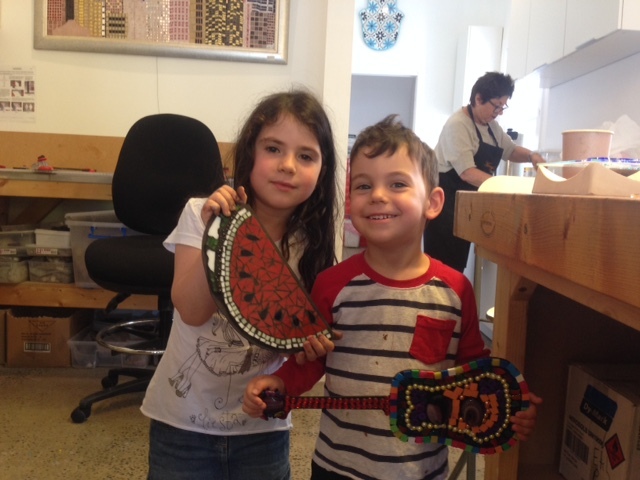 A fun activity to do with family and friends we are open for 2 sessions Monday to Friday 10-12.30pm and 1.30-4pm. Weekends we are also open but bookings are essential. 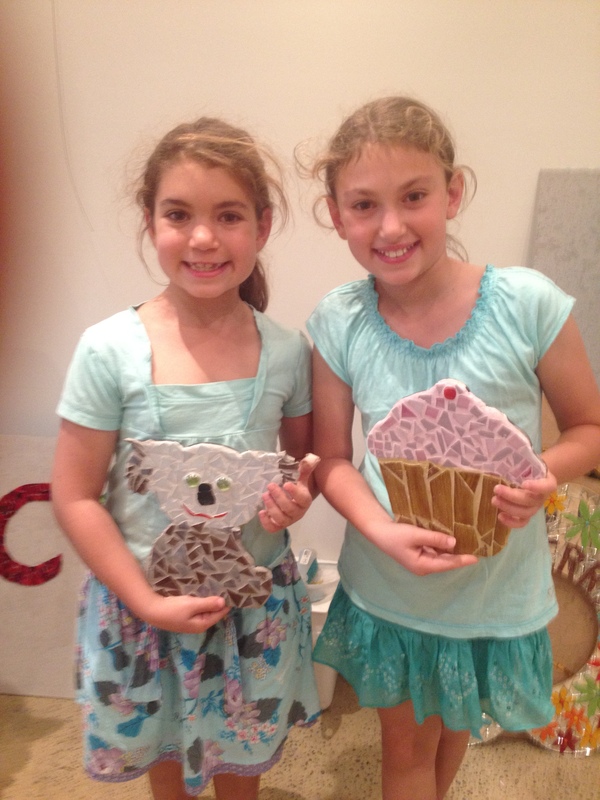 Come on in and lets make some art!